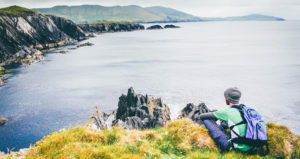 Enjoy this short video of highlights along the Beara Way, one of the most scenic walking routes along the Wild Atlantic Way. Thank you to videographer Steven Sheehy for capturing the best of the west on his walking holiday along the Beara Peninsula. 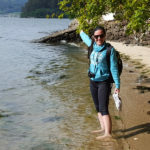 On this route you will find youself walking through lush green landscapes, alongside the breathtaking Beara peninsula, through charming Irish towns and tasting delicious Atlantic seafood. It is no wonder this route is so popular with walkers, hikers and cyclists from around the world. This route starts in the picturesque village of Glengariff which overlooks Garnish Island. You will find yourself surrounded by Irish culture with galleries, restaurants and pubs to keep you entertained on your first night. From here you follow quiet boreens and mountain trails, meandering around the Sugarloaf mountain with panoramic views of Bantry Bay. The walking days are satisfying but not too difficult. You will enjoy the climbs along some of the most beautiful mountain trails and as you descend you will be greeted by panoramic views over the bay. This section features Ireland’s only Cable car at Dursey Island and the famous Allihies Copper Mine Museum. There is also plenty of history throughout the tour and you will pass by Ireland’s tallest standing stones which date back to the 6th century. Finishing up in the beautiful town of Kenmare is a great treat at the end of this walking route. Kenmare is packed full of music and culture for you to enjoy. This little town is renowned for it’s food so make sure to stop into a local restaurant for a nice meal and a pint of Guinness to celebrate the end of your walking holiday. For more information about the Beara Way and other popular Irish walking routes contact one of our travel specialists.